It should be no surprise that the national sovereignty-hating Bilderberg Group hates the potential British exit (Brexit) from the European Union. As discovered in a leaked document, the Bilderberg Group outlined the plan for one single European currency in 1955. British Parliament Member Philip Hollobone claimed back in March that the Bilderberg group was intervening in the EU referendum campaign. Now, several members of the Bilderberg Group have made pro-EU statements including Henri de Castries, a chairman of the Bilderberg steering committee. Hollobone claims foreign leaders interfering in the EU referendum campaign was evidence that the secretive Bilderberg group is “ganging up” against British voters. Previously British House of Commons leader Chris Grayling has even warned foreign leaders about getting involved in the EU referendum. 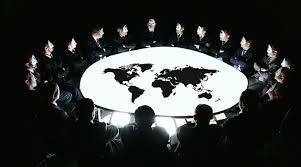 But the Bilderberg group seems set on lobbying politicians setting the future of the EU. So you can be sure Brexit will be a main topic during this year’s secretive Bilderberg meeting, where people from all over the media, finance, and government meet for two days to set international political policy for the following year in secret. Reporters and cameramen aren’t allowed anywhere past the barriers and police, and I don’t remember voting for any of these people, do you? Stay tuned to We Are Change for all your updates on Bilderberg 2016 and WRC founder Luke Rudkowski’s trip to Germany covering the protest outside the meeting of those who deny they are conspiring a plot to create an Infamous New World Order. And now, here are some fear-mongering quotes from Bilderbergers on the Brexit. NextKentucky Governor Sends Out Inspirational Photo of… Heart-Shaped Poop?